Azzaro Pour Homme is the greatest fragrance for men ever made. It may not quite be my personal #1, but it's close. In my mind, it is the perfect fragrance. Don't bother me with comments about "vintage vs. reformulation" with this one. I own bottles of both, and it doesn't matter. This fragrance is the balls, no matter what version you're wearing. Azzaro Pour Homme is so expertly crafted and well balanced, I literally feel like it's part of my skin when I wear it. The only other fragrance I can say that about is Eau Sauvage, which takes a back seat to Azzaro because of its mediocre staying power on my skin. Azzaro Pour Homme is right out of the 70's school of aromatic fougeres - herbal, spicy and strong - but it's so much more than that. Though the first hour, with its powerful lavender, anise and patchouli notes, smells like a cologne for a disco freak, the drydown projects an elegant, timeless, mossy warmth that epitomizes perfume perfection. It's an earthy yet smooth scent that wears like a second skin. It's a smell that I wish would never end, and fortunately Azzaro Pour Homme is a very long lasting fragrance, with staying power of about twelve hours for me. Azzaro is a powerhouse in my book. 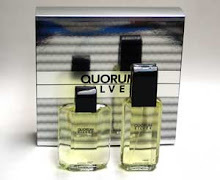 It doesn't have the bludgeoning power of something like Lapidus Pour Homme, yet it surrounds you in a warm cloud of uber-masculine aroma all day. It had a huge influence on the powerhouse fragrances that followed it in the 1980's, and it's popular with fans of strong scents. I like to call it an "aura fragrance", meaning its potency comes from the diffuse scent that radiates off your skin at a distance, rather the way it smells up close. I like to spray myself liberally with Azzaro Pour Homme - about seven or eight sprays. I'm sure people look at me like I'm "Cologne Guy" when I walk by, but I don't care. This is a frag I want to broadcast. This is a cologne with real swagger. 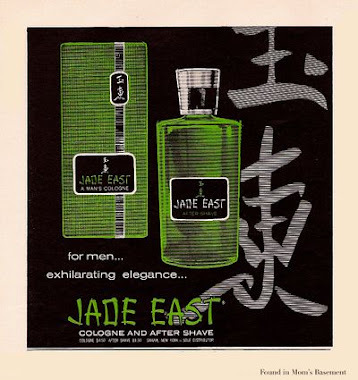 It's both hairy-chested and refined, and would smell just as appropriate on John Gotti as it would on David Niven. The reason Azzaro is such a manly scent is because it's the smell of confidence. 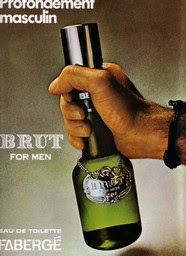 I'm a pretty confident guy anyway, but I feel like I own the world when I wear this macho juice. I'd call it a classy testosterone bomb. If James Bond were French, he'd wear this. You're right about this one: it truly is a bridge fragrance in that Agnelli could wear it and so could the busboy working his table at Le Cirque. It's both elegant and earthy. I agree, too, with your notion of it being an aura scent. I'd put Van Cleef & Arpels in that category also. A cocoon of macho confidence envelopes the wearer. While it's not my favorite fragrance, it is a quintessential one. "Cocoon of macho confidence" - I like that. I love VCA too, but I find it much stronger and assertive than Azzaro. For me, Azzaro has that open-shirt macho man confidence aura, whereas VCA to me smells like the CEO of the company staring you down, ready to bust heads. Also, it's funny you mention Gianni Agnelli. I've always thought of VC&A as the kind of iron man frag that Agnelli would wear at a Board meeting. How would you compare Rive Gauche to ApH? Also, have you tried Azzaro pour Homme Intense? If so, contrast and compare the flanker to original. Thanks! 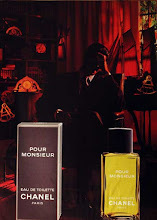 I find it similar to Rive Gauche in the sense that both have that total 70's hairy aromatic fougere smell. I love Rive Gauche as well (another 10/10 frag in my mind), but I find it a lot darker than Azzaro and more straight-laced. I used to wear RG all the time, and I bought a new bottle of it about a year ago, but I hardly ever wear it anymore for some reason. It is an amazing scent, though. I'm sure the day will come when I'll start rocking it again. I wear Azzaro quite often. I've never smelled the Intense version, and I heard it's been dc'ed. I've heard great things about it, even though I have a personal hang up about "intense" or "Extreme" versions of classic fragrances. I'd still love to try it though. Thanks for the review! I want to get the Rive Gauche in the classic tube before it is completely wiped out by the new square 'La Collection' series. About $45 a large bottle currently. Beats the larcenous prices put up on ebay! Ironically, I got it before the holidays and I still have not had a chance to try it i.e., had it shipped to my brother who resides the US and I will soon return to the USA on a family visit so that I can pick it up. Some say it is deeper, richer in the basenotes (not necessarily louder), but the top notes have been muted somewhat...the initial citrus/anise has been dialed back some. Well, in any case, I will be trying it in late March and I will chime in about this. Meanwhile, if anyone else has had any experience with this version of ApH please chime in. By pure coincidence I'm wearing this today - 1st time in ages!! I too love this fragrance. I can enjoy it in warm or cold weather and with casual or formal dress - it's as versatile as it is enjoyable. Thanks for putting this up on the blog - looking forward to revisiting some more of the old warhorses! I've read a lot of reviews saying, "Only wear this in cold weather - otherwise it will be too intense". I don't agree. I'm with you on this - I wear Azzaro all year round, and don't find it overpowering at all in hot weather. If anything, the hot weather makes it project even better, and for me Azzaro is one of those frags that I WANT to project strongly. I wouldn't enjoy it as much if it stayed close to the skin. I'll keep on reviewing the old classics as always. The next classic frag I want to review is Pasha by Cartier, but I've had writer's block with that one, since I find it so hard to describe. Ahh, Shamu, you certainly know how to hit all the cool ones. First, Loewe Esencia back in the Fall which I happened to purchase just shortly before your review. Back then, I wondered what you would think concerning that powerhouse and it was like you read my mind. Somehow, I felt that you would appreciate Esencia. Now, you mention Pasha and this is another one that I was curious about (though have not purchased; only had a fleeting sniff many months ago). Can't wait to see what you think. Keep up the great reviews! There's nothing like smells and odeurs that have the ability to transport you back to certain times and places you thought long forgotton. Every time I come across lemongrass for instance I'm immediately taken back to my time in Bangkok,Thailand (spent 4 years there in the early 80s). Emotions,locations,familiar faces pop up all of a sudden, because the intense aroma of the Thai soup kitchens cannot be associated with anything else in this world. So it is with Azzarro. I almost remember it to the day when I first wore it as a teenager in the mid-seventies, which made me feel like a million bucks at the time.Because shamu included this scent in his Top 10 last year I thought it a good idea to include a little nostalgia in my life and got myself a tester. Really is hard to describe what surfaced after finally spraying it on-after almost 40 years! For a moment I was 16 again and I have an inkling that it wasn't the last time I used it. Glad to know that I am not the only one rocking this fragrance with 8 sprays! I was thinking about doubling up the sprays to increase longevity by applying it and than reapplying in the same places after first application gets absorbed which would mean 16 sprays! Any thoughts on this? I really enjoy your blog. I am 47 years old and I find it inspiring that there are other people that enjoy these masterpieces! I'm younger and newer to fragrance collecting. Although I now own around 50+ frags. This is hands down my fav. An absolute Masterpiece. 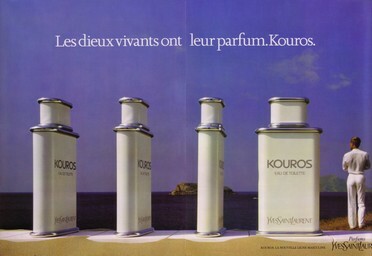 This is the James Bond of fragrances! My second fav, has a very similar VIBE, although they don't smell completely alike. It feels like a modern re-imagining of Azzaro Pour Homme is MR. BLASS. Has that same aura vibe. Very classy, manly, and sophisticated. These would be my two desert island frags. But if I could only chose 1 frag to wear the rest of my life. It would hands down be Azzaro. My wife loves it. And I never get tired of it. I love the fact that being retro, no one else is wearing it. When I walk around NYC all I smell is Paco Rabanne's 1 Million. While I think that is a great frag, it lacks the testicular presence of Azzaro. This frag is for REAL MEN ONLY.